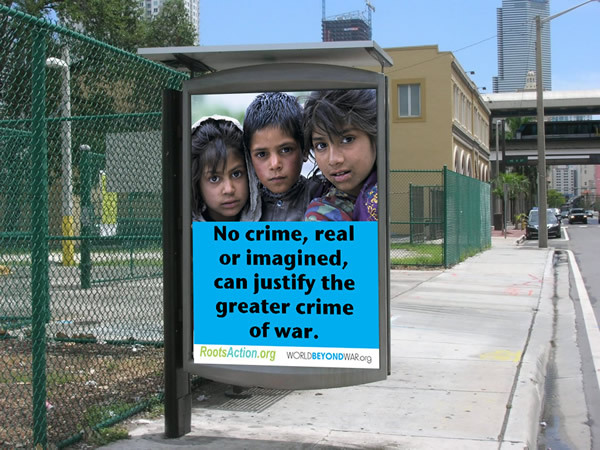 World BEYOND War has been putting billboards up in many places, with terrific results. We're now launching a new effort to raise the funds to put up billboards and/or other large ads in Washington, D.C., as prominently and as close to the halls of government power as possible. 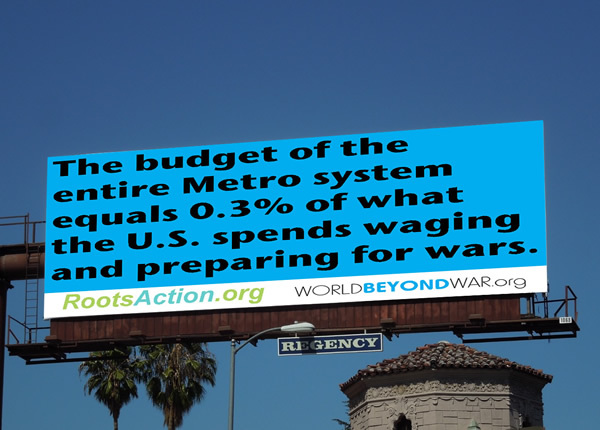 This may include ads in Metro trains, stations, etc. We're partnering with RootsAction.org, so your donations will go further. 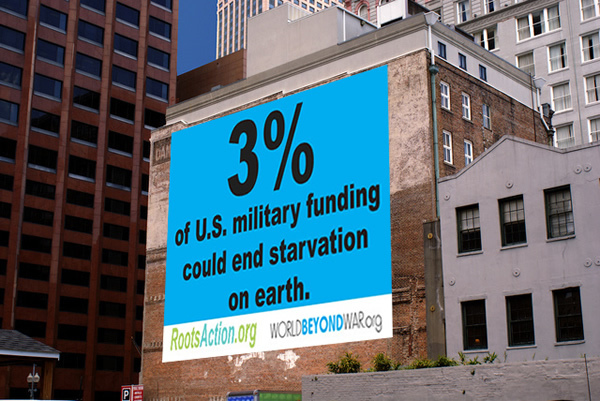 Your donations are tax-deductible in the United States, and will fund advertising in the U.S. capital and the work of World BEYOND War. We're also looking for your input on the best billboards to use. The 3% statistic is explained here. 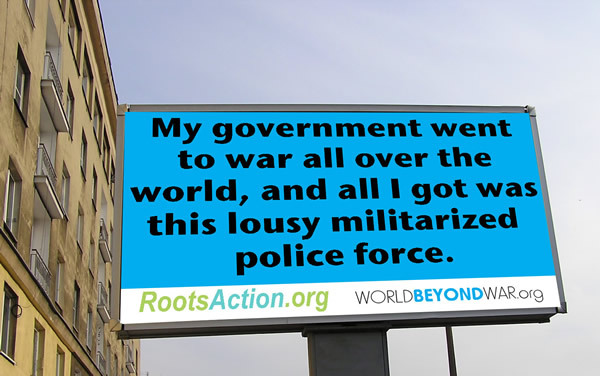 Put Antiwar Billboards in Washington, D.C.